This headband/ear-warmer is customizable. 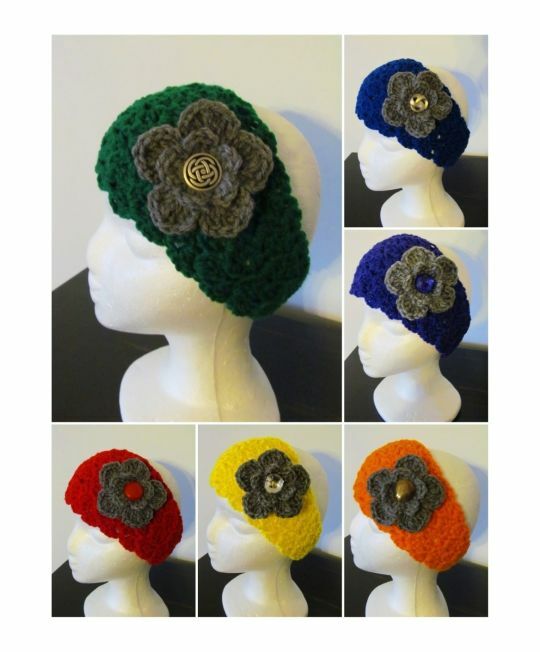 The flowers come on and off of the button affixed to the headband! Change out the colors to compliment your outfit, style, or mood! Love this need to get pattern.